On February Eve, we celebrate Imbolc! Imbolc (pronounced ihm-bulk or ihm-bulg) is the festival of Midwinter, beginning on the evening of January 31st and continuing on though February 2nd. If we imagine the Wheel of the Year as representing the course of one life, then Imbolc — translated from Old Irish as “in belly” — is that peaceful, hopeful period of gestation. Pre-Awakening. Pre-Sprout. 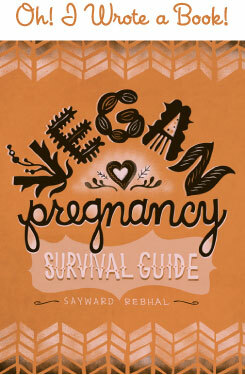 Pre-birth. This time of year, the earth is still asleep under the heavy blanket of winter. But come February Eve, we begin to feel something stirring. Thus, Imbolc is simultaneously a meditation on the stillness and quiet of the barren season, while also preparing to welcome in the new life of springtime. Deep underground, the tiniest root-buds gently strain against the thinning walls of the seeds that surround them. Snuggled safely in burrows and nests and dens, bellies swell as the babes inside begin their quickening. Metamorphosis is everywhere, invisible but universal. Imbolc is the time to ready ourselves for the journey ahead. 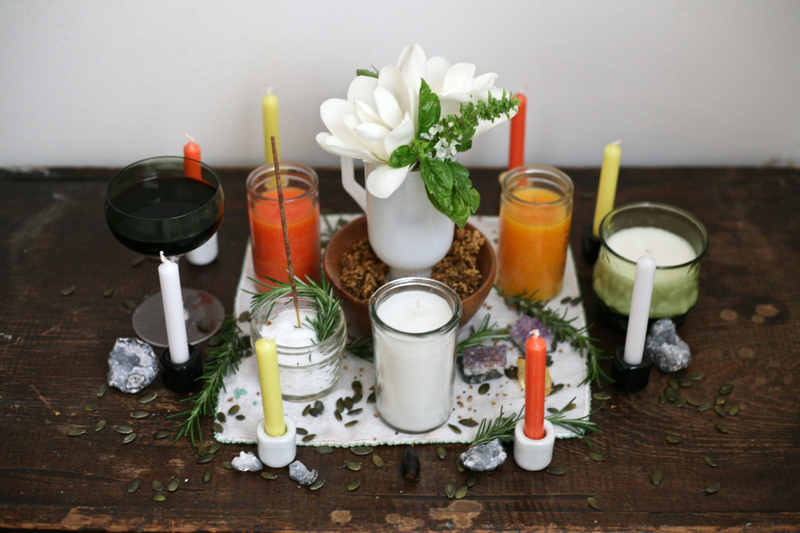 In that spirit of preparation, this is a holiday centered around purification and cleansing. It’s a good time to hunker down and figure out what you really want. Make a giant list, build a vision board, or draw the dream you wish to manifest. Focus on concrete plans, but do whatever it takes to find your inspiration. 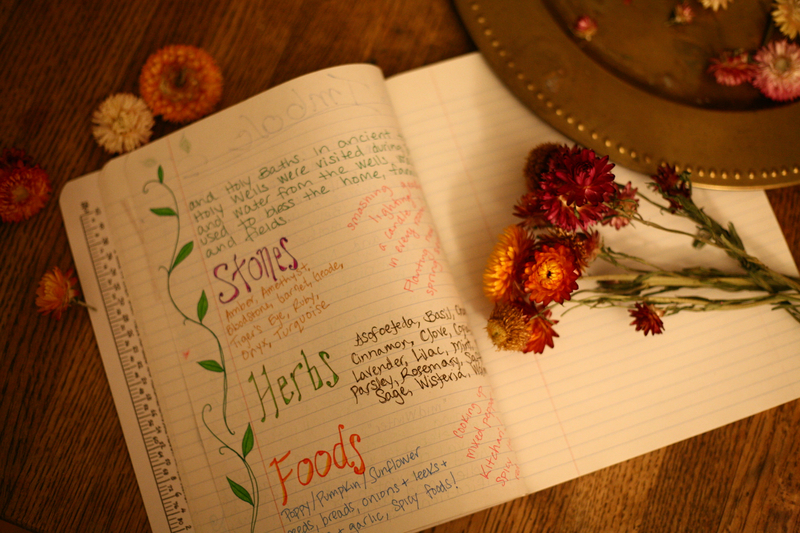 Because Imbolc is the perfect time to take charge of your life! Imbolc is called “Midwinter” but here in southern California, spring is already showing itself. Last year, I was grateful to be able to dress my altar with fresh flowers and herbs that I gathered around town, along with the more traditional elements of snow/salt, seeds, and milk. In Neo-Druidity, Imbolc is considered the “Women’s Holiday”, and ruled by the divine feminine. Imbolc is the time when new witches are initiated into the coven. This seemed especially relevant to me last year, as Imbolc was the first gathering of what has become my own little coven of magic-making women. As I said in my last post, my only real New Year’s Resolution of 2018 was to create tradition and community around the 8 pagan sabbats. 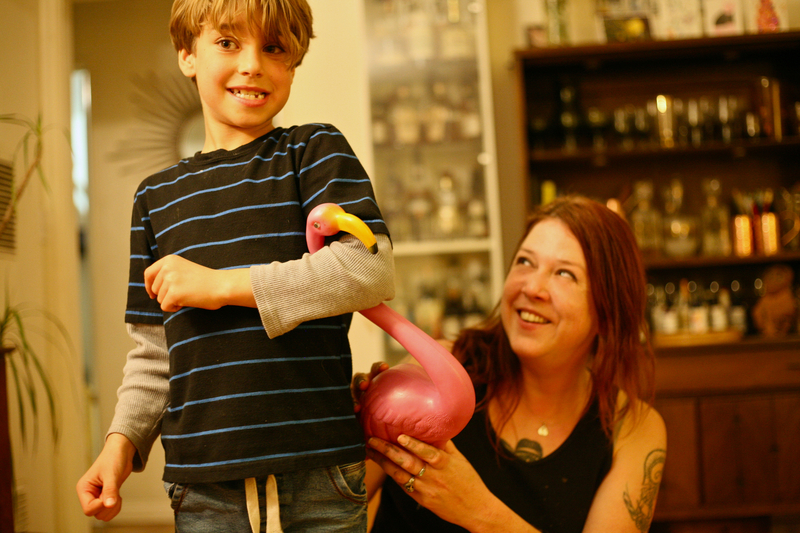 Waits and Ingrid with “Reggie the Imbolc Flamingo”. We make our own traditions. On February 1st last year, I arrived to pick Waits up from school, and found him carrying a pink plastic flamingo. He told me that his school was going to throw it out, and he couldn’t bear the thought of it going to waste, so he’d rescued it. He named it Reggie. And he asked if Reggie could be part of our Imbolc celebration. Well . . . why not? 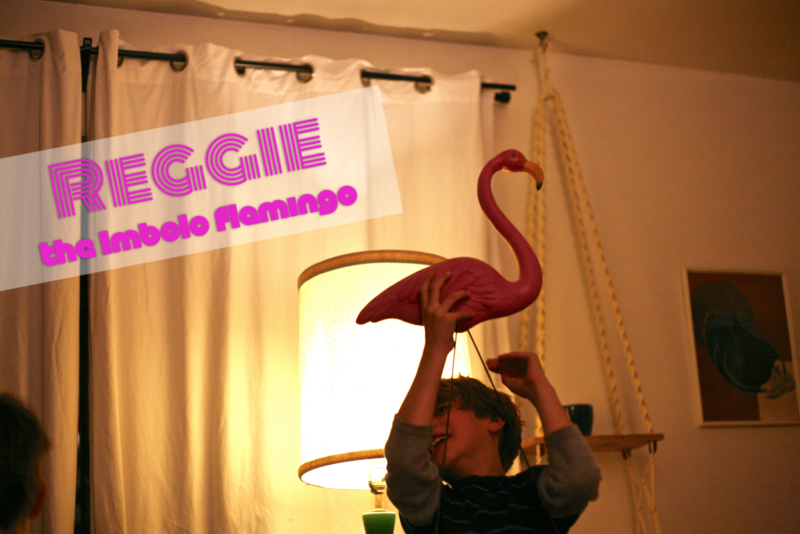 We make our own traditions, and now forevermore our Imbolc will include Reggie, the Imbolc Flamingo, centerpiece of our party. Reggie calls to mind midsummer’s sticky heat. Florida-hot beachy bright days. A perfect compliment to the bite and the bluster of midwinter. In this way, Reggie reminds us that there is always balance. 1) Burn a candle in every room of your home, to clear out negativity, and to call in the light of spring. 2) Smash a geode! This one is super family-friendly. Kids love it, and your own inner child will love it as well. Geodes are a beautiful metaphor for the Earth in winter — barren on the outside, but bursting with beauty right beneath the surface. Let that beauty out! *Smash* *Smash* *Smash* It’s so fun! 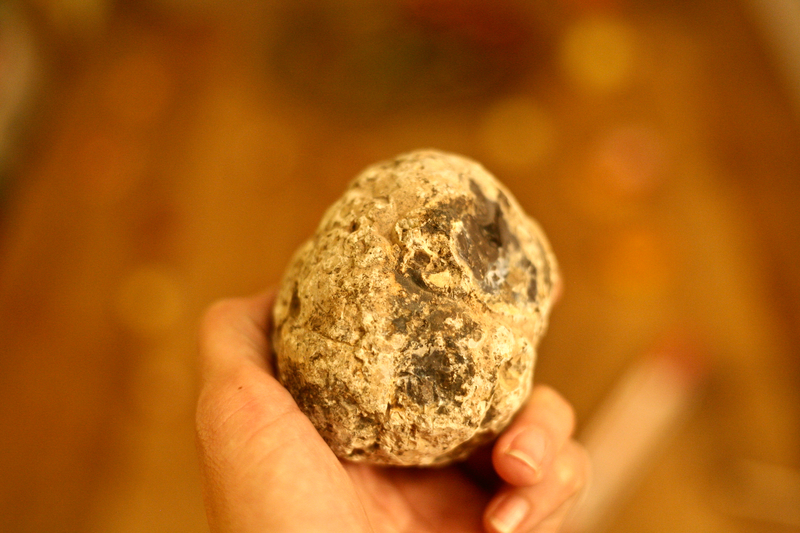 (Pro-tip, put your geode in an old sock before going at it with a hammer. That way when it breaks, the pieces won’t go flying.) 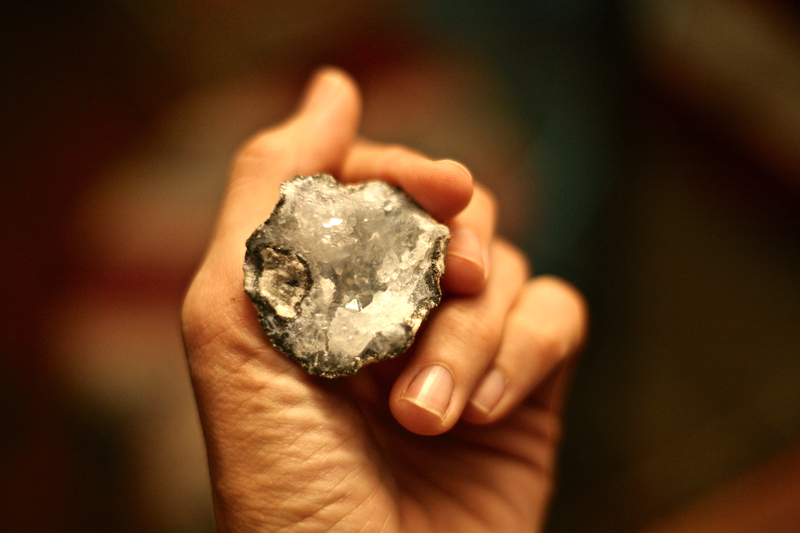 I bought my geodes at my local metaphysical shop, but you can order them online too. This kit from National Geographic looks really cool! 4) Cooking: food with friends, especially something with seeds, something with peppers, anything bright or spicy, or something with onions, leeks, or garlic. I made mixed pepper tacos, and my friend Jennie made kitchari which was beautiful and delicious and I didn’t take any pictures of it, booo. Drinking: full-bodies white or spicy red wine. We shared a bottle of dark, peppery syrah, and it was perfectly rich and warming on a midwinter night. 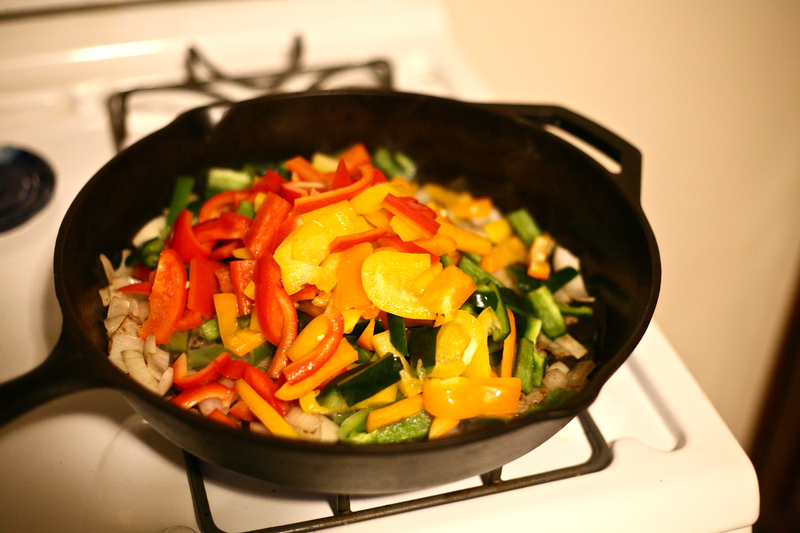 My giant cast iron full of mixed peppers, onions, and garlic. 5) Pulling tarot, throwing bones, or reading tea leaves (any type of divination). 6) Taking a ritual cleansing bath. I gave my friends each a bottle of Florida Water at the end of our celebration, and sent them off to take their own ritual baths. 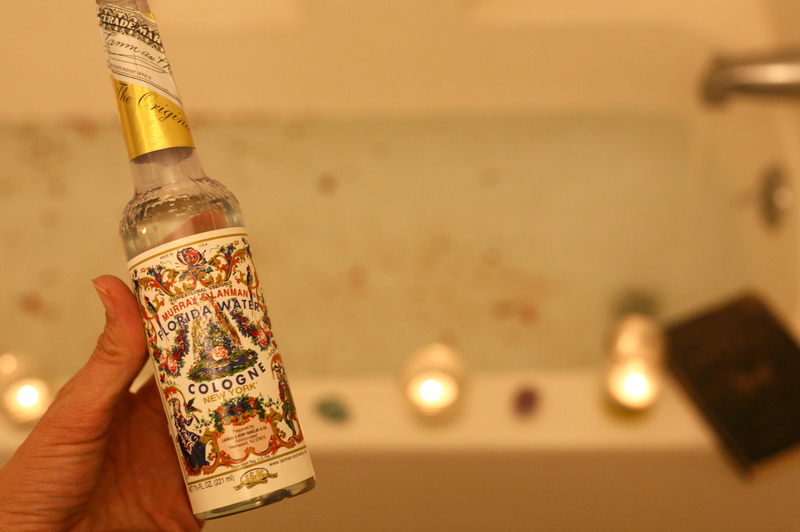 I love Florida Water for cleansing, blessing, and protecting (you can find it at any botánica, or most metaphysical shops) (this is the one I use), and it seems especially appropriate for an Imbolc ritual bath. Florida Water is named for the fountain of youth — perhaps the most sacred of Sacred Wells, I’d say! However you choose to celebrate (or not! ), I wish you a warm, inspired, and peaceful Imbolc. My you find your clear path through 2019, and beyond! Being in the Southern Hemisphere, Lammas will be coming up soon. Imbolc is still six months away for me! I love your altar, it is so very beautiful. And I love Reggie! Blessings for your impending Lammas! I hope you’re having a wonderful summer and soaking up all that sunlight. Happy Harvest! Thanks for sharing your traditions! Some of these sound really great ways to celebrate. 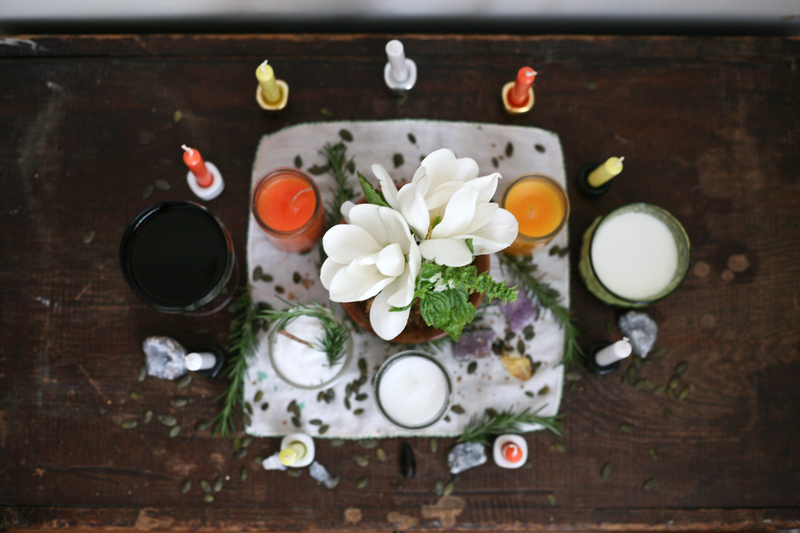 Thank you for this beautifully written post about Imbolc. My husband and our best friends are pagan and try to practice, so I’m kind of familiar with the Wheel of the Year. But I think I’m going to try to start my own practices this year, as long as they don’t clash with my hubby’s of course! Thanks Jennifer, I’m so happy to share!